Bed bugs or nighttime blight for so many and while getting rid of them used to be as simple as calling your exterminator that may not be the case forever in a new study. University researchers tested two commonly used pesticides on populations of bed bugs gathered from different parts of the country to see how effectively these chemicals kill these pests. What they found is that some of the bed bugs tested were resistant to one or even both pesticides finding that higher levels were needed to defeat some of these insects. A sign that pesticides alone soon may not solve our bed bug problem. So for now experts suggest a multi legged approach one that uses pesticide but also incorporates other methods like traps steam and even physical removal. All this means a call for more research into new ways to prevent and destroy these bugs. 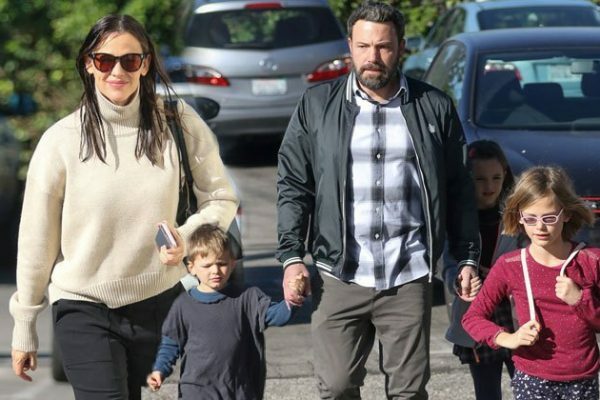 When Jennifer Garner and Ben Affleck announced their separation about two years ago, fans from all over the world were very upset. The two were married for ten years before announcing their decision to end things, so there is no wonder that the separation news came as a shock. Since the split, a series of things have been claimed about the famous couple. Some said that Ben cheated on his wife, while others revealed that Jennifer wanted him back. Most recently, the rumors claimed that Ben and Jennifer plan on renewing their wedding vows, but some actually said that the two were set to become parents once again, as Jennifer was allegedly pregnant with twins. Now, it has been claimed that Ben and Jennifer are once again living together. A report from Naughty Gossip indicated that the two famous actors are “100 percent” back living together. So, it surely seems that the two stars are trying to save their marriage. Allegedly, the two actors are sharing their duties as parents and are taking their children to various locations, but then they meet “up back home where they are all living.” As imagined, there is no official comment on this new report or the other claims regarding their reconciliation, so it is yet to see if the claims will be confirmed by Ben and Jennifer. New rumors emerged on the alleged relationship of Brad Pitt and Jennifer Aniston. The rumors are saying that the two have reconnected following Brad’s divorce from Angelina Jolie. Everyone knows that Jennifer Aniston and Brad Pitt used to be a couple years back. They were married and formed one of Hollywood’s power couples, but divorced after Brad met Angelina on the set of Mr. and Mrs. Smith. Well, since the divorce of Brad and Angelina, it has several times been claimed that Jennifer and Brad were getting along much better and were even relying on each other for support. Now, a new report from In Touch claimed that Jennifer has reached out to Brad for support following the death of her estranged mother, Nancy Dow. “Brad knows the history of Jen’s complicated relationship with Nancy and doesn’t judge her for the feelings she’s having,” the source explained. So, the insider actually claimed that Jennifer needs her former husband to help to her overcome this hard time in her life, because Brad knows how difficult Jennifer’s relationship with her mom was. Well, that is not all that the report had to reveal. It has also been claimed that Jennifer feels that her former husband has actually evolved a lot since their divorce. And now Brad was very supportive, and this is why the actress is happy to have him back in her life. There is no doubt in the fact that Brad is no longer married. However, some rumors have claimed that Jennifer could be single soon, as well. Several reports revealed that the actress and her current husband, Justin, are dealing with some serious issues and are close to a divorce. A recent report has indicated that the two have been living separate lives. The report was later dismissed. 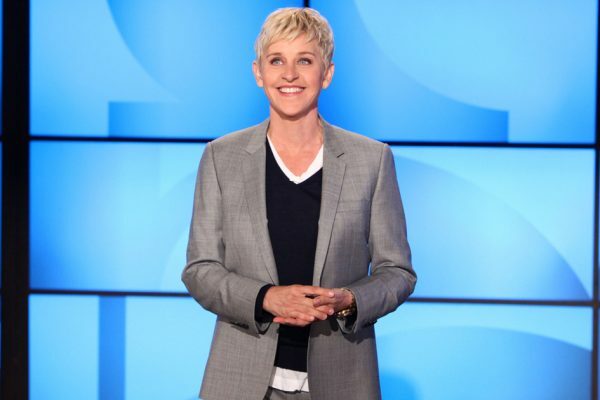 Ellen DeGeneres to Enter Rehab? Things don’t appear to be going better between Portia de Rossi and Elle DeGeneres. In fact, it has been claimed that Portia actually wants Ellen to enter rehab. The rumors were reported by Radar Online, which revealed that Portia started being concerned about her wife after Ellen was taken to the emergency unit following a finger injury. A couple of days ago, Ellen was driven to the ER after she suffered an injury to her finger. It all occurred after a night out that Ellen spent with her wife and after drinking two glasses of wine. Ellen tripped and injured herself, as she and Portia arrived home from the night out and Ellen was trying to get out of the car. Ellen actually explained everything that happened during her show. “So, you know how in gymnastics when you do a one-handed cartwheel and you have to spread the weight evenly between all your fingers? Well, I had two glasses of wine and fell into a door,” the star said. “Portia [de Rossi] and I were coming home from a dinner party. We were at the door, the dogs were so excited to see us and I caught the lip of the top step. I was a foot away from the door and I fell into the door and it did something to my finger, I knew something was wrong,” she went on to say. Well, it seems that the whole event made Portia worry about her wife. An insider claimed that she actually feels that Ellen should be entering rehab to focus on her wellbeing. “Ellen needs help and she needs it now. She can joke all she wants about this, but it’s not funny. And this could spell the end of her marriage. Ellen has been honest about her addiction fear and has discussed it with family and friends many times,” the source said. This is not the first time when rumors are indicating that Ellen and Portia are dealing with some relationship problems. However, until now, the rumors have never been confirmed and it surely seems that Ellen and her famous wife are still together and are happy. Despite the claims that have been made about their marriage, it seems that Kim Kardashian and Kanye West still get along very well and actually the pair are still happy together. At least this is what it appeared to be the case recently, when Kim and Kanye were spotted out together. The famous couple enjoyed a date night at Providence restaurant in Los Angeles. Kim and Kanye spent no less than three hours at the restaurant together. They, of course, had a private room, where they spent some quality time. Kim and Kanye were spotted together by E! News, which obtained some pics of the two, as well as some details of their night out. “Kim and Kanye were seated in a private room with several other tables, but the room was reserved just for the two of them,” an insider told the celebrity magazine. “They sat on the same side of the table and talked very quietly.” The insider also revealed what Kanye and Kim ordered, including “spiny lobster with black truffle and brown butter.” Of course, the couple received a small gift from the restaurant while leaving, a basket of free muffins. The insider claimed that Kim and Kanye were accompanied by a series of bodyguards. The two stars, of course, left in the same car, with Kanye driving the vehicle. The pair was spotted out after attending a funeral in the family. The son of Kanye’s cousin died in his sleep. He was only 17 months old. Sources claimed that Kim was very much impressed and was very upset. “Kim is taking the death of Kanye’s cousin’s son very hard. The fact that a baby could just die in his sleep like that has rattled her to the core,” a source previously revealed. Kim and Kanye wedded back in 2014, although they started dating years earlier. Several rumors have been linked to their marriage for years now, but since last year more and more rumors talked about potential relationship problems. Allegedly, the problems became worse after Kim was robbed in Paris and after Kanye suffered a mental breakdown and required hospitalization. Recently, rumors revealed that the pair was divorcing because Kanye did not approve of his wife’s decision to open up about the Paris robbery during an episode of Keeping Up with the Kardashians. The Paris robbery involving Kim Kardashian has been in the media attention once again, as Kim decided to open up about what happened during the most recent episode of Keeping Up with the Kardashians. The robbery occurred last year and of course Kim was much affected by what happened. However, an insider close to the star claimed according to Ace Showbiz that the whole experience helped Kim become more positive and have a better perspective. The insider claimed that Kim is aware that things wouldn’t have changed if this wouldn’t have happened. However, the source also claimed that Kim is still vulnerable and still cries about the burglary. “Kim has come a long way from the robbery but that said, it’s a daily struggle to move past it and she probably never will be past it entirely,” the insider said. “Kim still speaks of the robbery as the most horrific experience she has ever had,” another source explained. After this experience, Kim changed her focus and once again is putting her marriage and her two children first, which of course is a positive thing. “While she would never wish the experience on anyone, it put things into better perspective for her – what really matters and that family comes first,” the source said. The insider also talked about another event that occurred last year. And it actually happened soon after the robbery, of course, the hospitalization of Kim’s husband, Kanye West. The insider claimed that things were very difficult for Kim. So, now work comes second for Kim and her family and children come first. Insiders claimed that Kim actually struggled with the family work balance and she often missed her children. Gwyneth Paltrow may be planning to get married once again. The famous actress and her boyfriend Brad Falchuk are said to be planning their wedding. These latest rumors came with a US Weekly report, which claimed that Gwyneth and Brad have been talking about marriage and are ready to make this important step very soon. Well, if the rumors will be confirmed, this would actually be the second marriage for Gwyneth, who has previously been married to Chris Martin, the frontman of Coldplay. The two have two children together, Apple, who is 12 years old, and Moses, who is 10. However, the latest report indicated that the children approve of Brad and want to see their mom marrying him. So, the rumors indicated that Gwyneth obtained the approval of her children to wed because “her kids love him and think he’s the best.” And that is not all, Chris Martin also likes Brad. The fact that Chris and Gwyneth remained very close and very good friends after their divorce is no secret. In fact, the two managed to remain in amazingly good terms after their 10 years marriage ended. The two separated in March 2014. Well, it is yet to see if the rumors will be confirmed and if Gwyneth really plans a wedding in the near future. The actress and Brad Falchuk started dating in August 2014. They first met in 2010 on the set of Glee. Some new rumors indicate that another celebrity couple is close to ending their marriage. 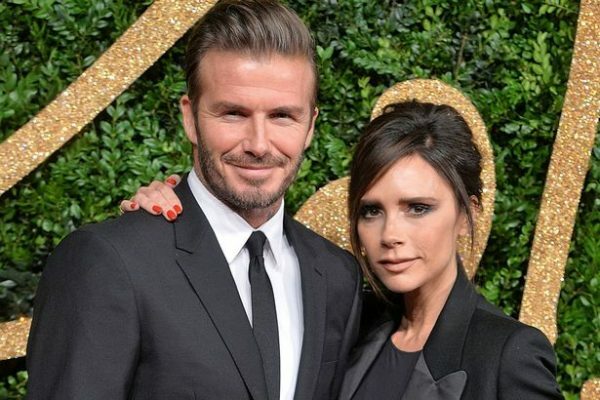 This time, the rumors are talking about David and Victoria Beckham. So, it has been claimed that the two star’s marriage is close to an end and they are actually planning how to end things. The rumors are not shocking at all, as actually Victoria and David have been linked to serious marriage problems for quite some time. The two have been married for 18 years and despite the numerous rumors that have been on throughout their marriage, Victoria and David proved that they are still a happy couple. And they actually also renewed their wedding vows after so many years of marriage. Well, at least this is what some seem to believe, as the newest rumors indicate that the vows renewal ceremony actually never took place and it was all a publicity stunt. “There is not one single photo from this supposed ceremony, and those two share everything,” Star magazine claimed in its new report. A source talking to the magazine claimed that Victoria acted very strange during a recent ski trip to Canada. She allegedly avoided David and “wouldn’t even look at” him. “It was clearly a PR stunt – she lept from him every single shot,” the insider said. Furthermore, Victoria is also thinking about removing her David inspired tattoos, as it seems that the star wants to actually remove her husband from her life. The report claimed that maybe there is nothing that can be done to save this marriage, as Victoria and David allegedly refused to consider couples counseling. According to the report, they considered this in 2016, but finally decided against counseling. The magazine claimed that maybe this happened because things have “probably gone too far” now. Well, as imagined there was no direct comment from Victoria or David on this report about their marriage problems. 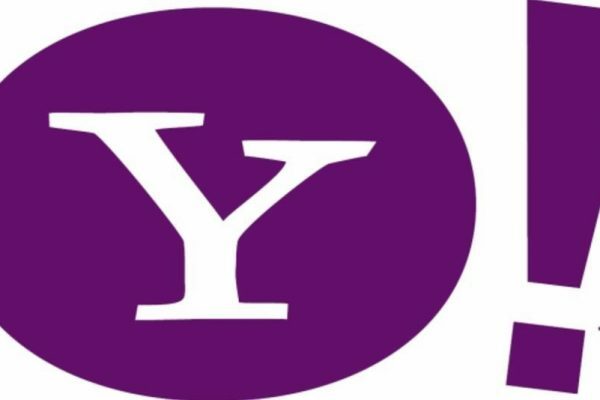 However, the claims were dismissed by a rep for the couple, who revealed that the whole story was false. The rep talked to Hollywood Life and dismissed the rumors. Things appear to be going great between Miley Cyrus and Liam Hemsworth. Apparently, the two famous stars are doing so well that they are in no hurry to get married. The pair rekindled their romance last year and have enjoyed a great relationship since. Now, a report from Hollywood Life revealed that Miley and Liam have no plans to get married. It is quite curious that this report emerged, as only a few weeks ago a series of rumors indicated that the two were planning a wedding for the summer. The most recent wedding speculation emerged at the beginning of this month, when Billy Ray Cyrus, Miley’s father, shared a photo of the young singer with a white dress and a very easily interpretable message, saying: “I’m so happy…you are happy.” The wedding speculation was later dismissed by Miley’s sister. However, wedding plans have been linked to the two for quite some time now. Well, the new report indicated that in fact Miley and Liam want to focus on their careers now and there are no wedding plans for the moment. “[Miley and Liam] are good for right now. They are not in a rush at all,” an insider said according to the celebrity site. “They are all about their career goals right now and love that they are a support system for each other,” the same source explained. The insider claimed that Miley has been much focused on her new album, but she is also starring on The Voice, so she will spend a lot of time there at the upcoming season. On the other hand, Liam is looking for new career projects, willing to find something that will bring his acting career to the next level. So, their careers are the main reasons why Liam and Miley are not thinking about marriage yet. “To them, marriage means babies, and they aren’t ready to be parents,” the insider also said. “They’d like to do it all at once! So their goals for marriage are there, but not any time soon,” it concluded.